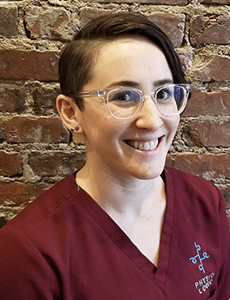 Dr. Allison Heffron is an acupuncturist and a third generation chiropractor licensed by the National Certification Commission for Acupuncture and Oriental Medicine and National Board of Chiropractic Examiners. She holds certificates in Active Release Technique as well as Kinesio Tape. 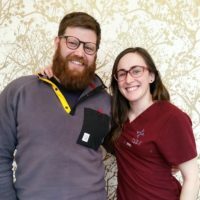 Dr. Heffron is very passionate about rehabilitation through chiropractic adjustments, corrective exercises, orthopedic needling, cupping, and gua sha. 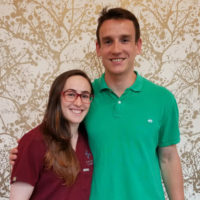 Dr. Heffron is currently a Nationally ranked Olympic Weightlifter, so she is very enthusiastic about participating in increasing functional athletic performance as well as improving function in her patients’ daily activities. 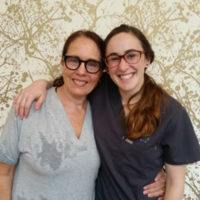 Aside from her unique approach in the treatment of musculoskeletal injuries, she has a strong background in Traditional Chinese Medicine to treat more systemic dysfunction and chronic disorders. 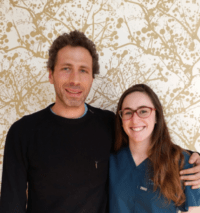 Dr. Heffron truly believes that everyone would benefit from these two alternative and conservative approaches for optimal health. Learn more about Dr. Heffron’s approach using acupuncture. "I have a very good relationship with all of the chiropractors. Everyone here knows who you are and are very warm and welcoming. I ask questions and always get answers. I felt like I was in good hands the entire time I was here. The treatments worked." "I have never had acupuncture treatment done before, but I felt the benefits from Dr. Allison’s treatment. It was great that I got three different kinds of treatments under one roof to help me recover." "The treatment plan was designed with a bunch of great exercises. I increased my flexibility and strength. I really like that my appointments combined whatever services I needed in the same day around the same time. It made scheduling very easy." "Working with Dr. Allison Heffron. She is professional, warm, and made me feel comfortable. By the 7th acupuncture treatment I was feeling so much better. My spasms went away. Coming to Physio Logic was an overall pleasant experience. 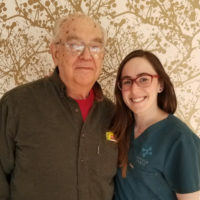 The treatment took care of the problem, the staff seemed very concerned about my well-being, and I love the environment built around wellness. I would recommend Physio Logic in a heartbeat." "I’m making a lot of improvement with my recovery. I’ve been getting chiropractic care for a little over 2 months now since my injury, and I’m already able to start playing some light squash. That, to me, is incredible. Second would be prevention. I’ve learned a bunch of great exercises that will help prevent me from suffering this kind of elbow injury in the future. Third would have to be the friendliness and the quality of care." "Everyone has been great. All the chiropractors, Dr. Stephen, Dr. Ken, and Dr. Mike. I loved seeing Dr. Nya and Dr. Amanda, for physical therapy. The support staff is outstanding. 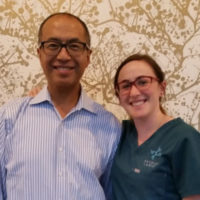 I enjoyed working with Dr. Allison for acupuncture as well."